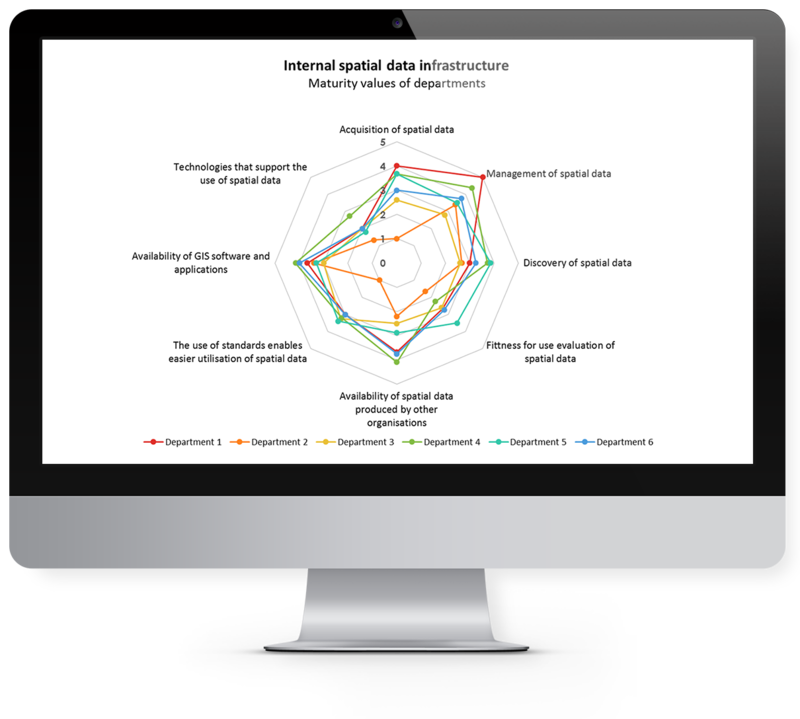 Assess the current maturity of your spatial data utilisation with an online questionnaire. Spatineo Roadmap gives you a comprehensive approach to the utilisation of spatial data in your organisation by measuring the maturity of the internal SDI of the organisation, the use of spatial data in processes and services, the organisation’s capabilities, the external cooperation and the external impact. Get facts about the bottlenecks that prevent beneficial utilisation of spatial data in your organisation. The maturity assessment allows you to recognise the strengths and the weaknesses in the utilisation of spatial data, and thus you can focus your development resources on areas that are worth investing in. 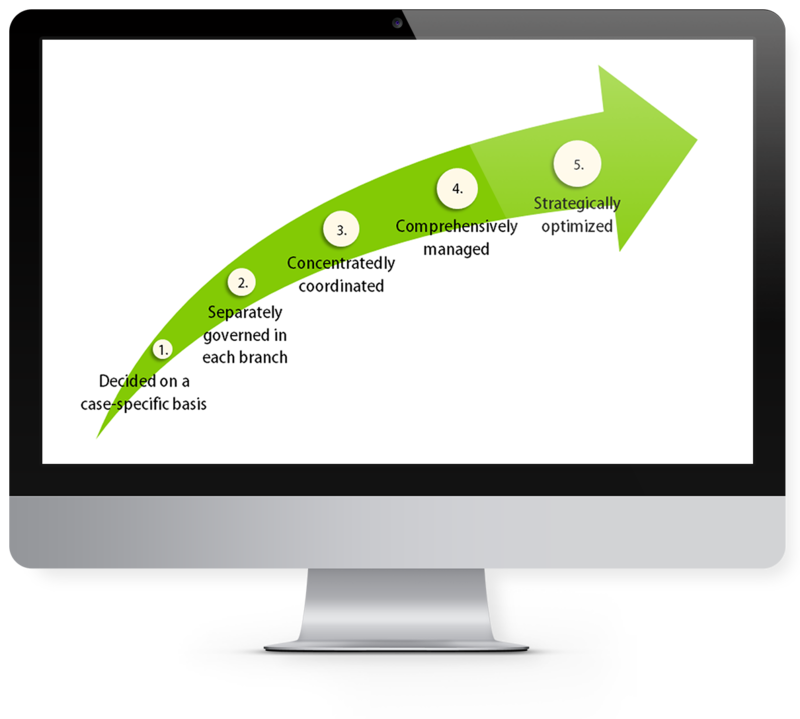 Spatineo Roadmap sets future development goals and creates a step-by-step roadmap for organisational improvement. It provides clear recommendations for further actions that are needed to reach higher levels of maturity. Spatineo Roadmap helps you to maximise benefits from the investments in your spatial data infrastructure. 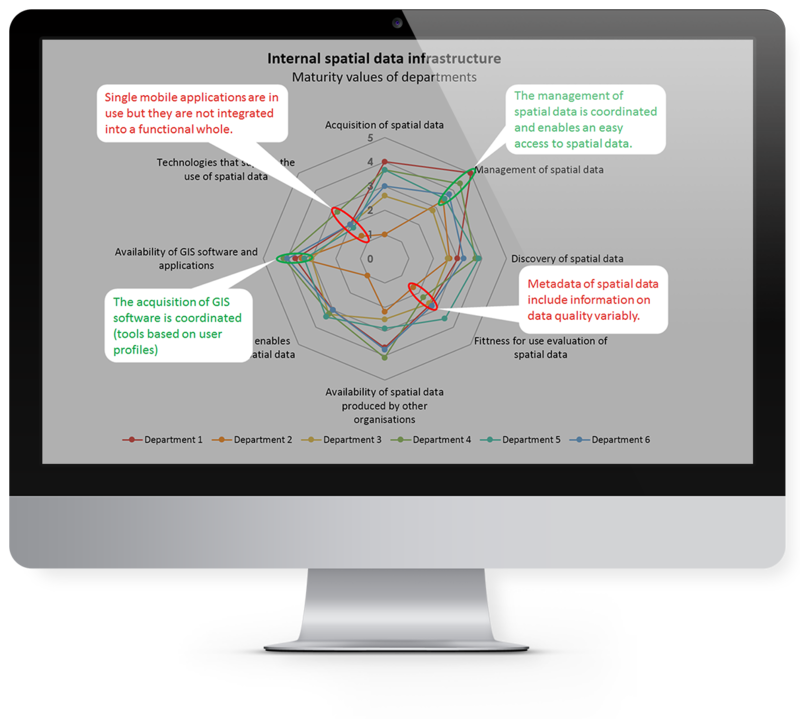 Repeatable assessments enable you to evaluate the development of maturity in the utilisation of spatial data. This also enables you to appraise the impacts of previous development decisions. In addition, you can compare your organisation’s spatial enablement with that of other similar organisations.